With artists like Matt Nathanson, OK Go and My Morning Jacket, this is pretty much a hipster's dream come true. It's not likely that I'll purchase the entire album, but there are some fantastic covers on here that will be worth the $0.99 download on iTunes. Definite highlights include Weezer's "Rainbow Connection," Alkaline Trio's "Movin' Right Along" and Andrew Bird's "Bein' Green." I would've loved if they had included "Saying Goodbye," which is pretty high on the list of my favorite Muppets songs of all-time and would've been a much better addition than some of the songs in the middle (here's looking at you, "Night Life" and "Our World"). 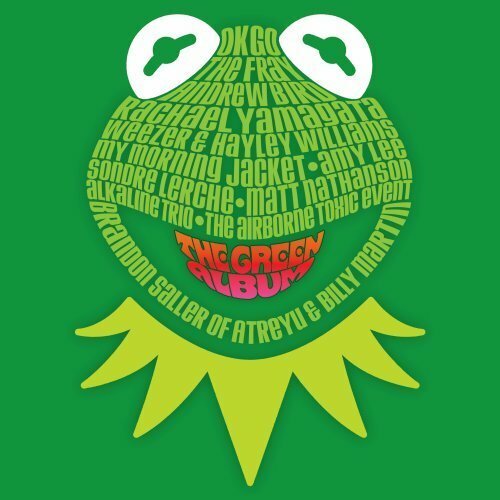 Muppets: The Green Album hits stores and iTunes on August 23.